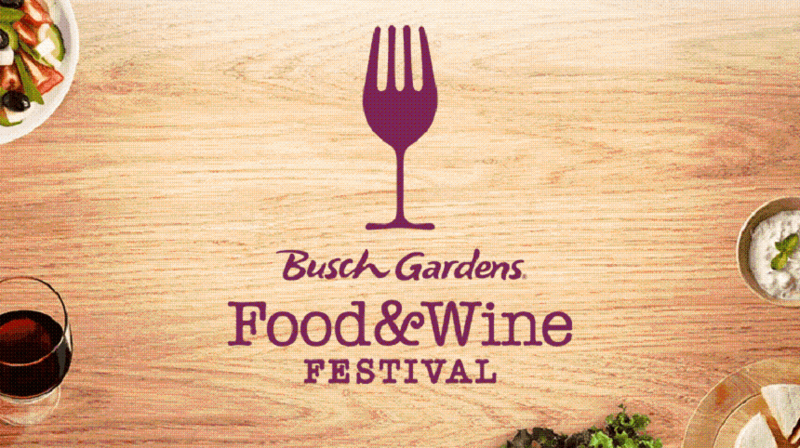 Busch Gardens Tampa Bay has announced their starting lineup of 2017 Food & Wine Festival musical acts, opening on March 4 with Daughtry and up through Lynyrd Skynyrd’s April 23 appearance. The festival returns with signature dishes and new cuisine – including duck tacos, lobster ravioli, bacon mac & cheese, brown sugar rubbed pork belly, banana foster panna cotta, gator bites, and cabernet-filled chocolates – as well as an expanded selection of wines, craft brews and cocktails. Food and beverage is not included with park admission and is available for an extra fee. Guests must be 21 years of age or older to consume alcoholic beverages.